One of the benefits of owning a classic Wing Sofa is the eyecatching detailthat seem sto jump out of the chair. If you are looking at a traditional recliner suite, it is very dfficult to buy a well detailed lounge. Mostly, customers will want a plain lounge that they can dress up with cushions or throw rugs. They want the canvas rather then the picture. A Parcs Wing Chair will add the detail that is sometimes required in a room to lift it. To add a real taliking point, and also a comfortable alternative to the traditional lounge suite. Of course, it is extremely common that a customer will purchase a Sofa Wing Chair that will match there new Chesterfield Sofa. In these circumstances there are no boundaries. 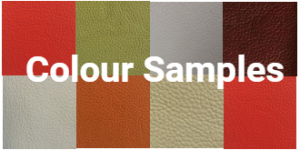 You can match the leather if purchasing your Chesterfield Sofa and Sofa Wing at the same time. 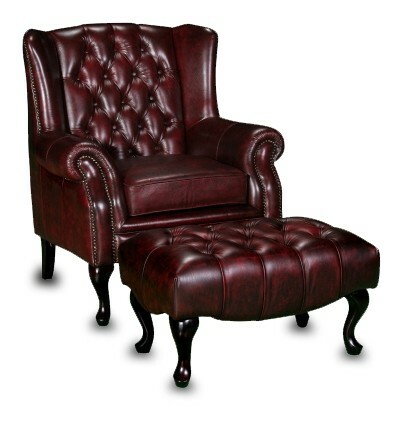 Or you can order a Sofa Wing Chair in another leather to contrast. Fabric options are also available. Who doesn't want a bit of a Royal feel in their lives? The Paris Leather Wing Chair fits the bill. The Wing Chair is synonomous with royalty, palaces, castles and of course the very strong association with the development of the Queen Anne Wing Chair. The chances of us becoming part of the Royal Family are small, but we can have a Royal Wing Chair to give ourselves afeel of what it may be like! The Rwanda is constructed using a hardwood, New Zealand pine and plywood frame. The base is constructed using non sag springs in the base and high resilience foam. This is a firme foam that will not collapse as quickly as normal seating foams.